To edit a function, tap its equation in the table header to select it and then adjust it in the input field. Change x + 2y = 6 to x + y = 6. 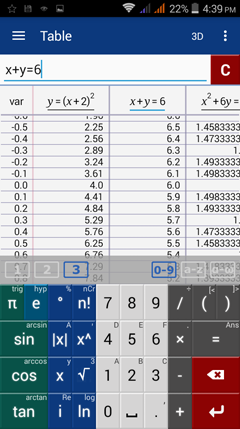 Tap the table heading "x + 2y = 6" and change '2y' to'y' in the input field. 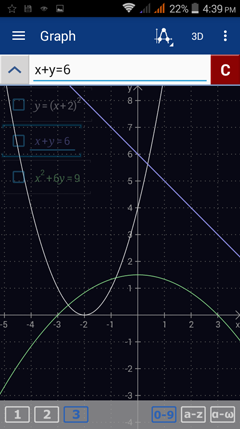 When you switch back to Graph Mode, the graph will now show 'x + y = 6' instead of x + 2y = 6.